Getting on in project management can feel difficult, especially when you realise that the training course you did hasn’t given the answers for managing a project successfully in real life. 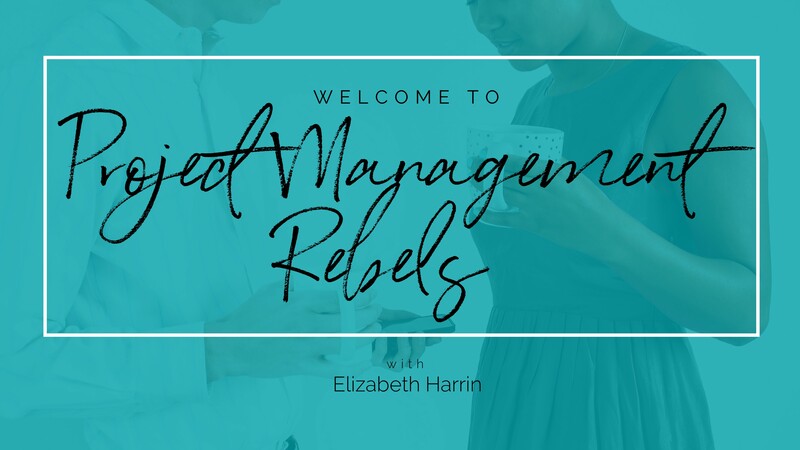 I’m Elizabeth Harrin, project manager, founder of Project Management Rebels, and author of a number of project management books. Let me be your guide through your career journey as a project manager. Have you ever thought about where your career is going as a project manager, or why some people seem to be on the fast-track while others struggle to advance their careers? Project Management Rebels is a mentoring and career development membership site for project managers who don’t work in a textbook world. Join us for an amazing 6 months! Project Management Rebels is a 6-month ‘pop up’ membership site. 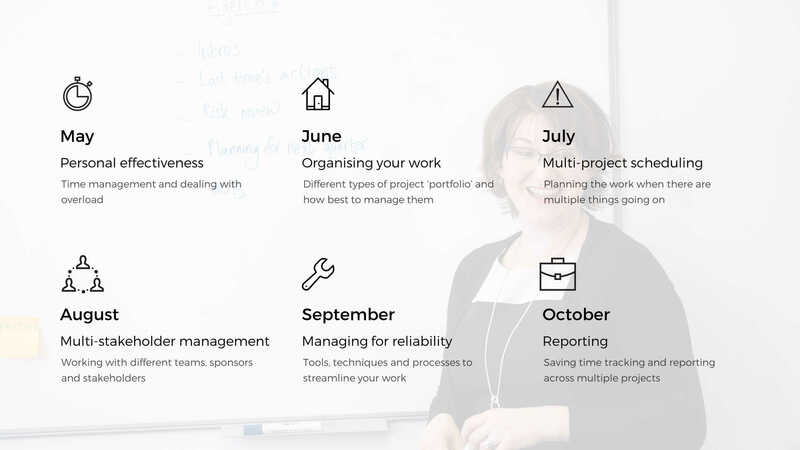 The May 2019 cohort is focusing on Managing Multiple Projects. Regular office hours: got a question? Ask Elizabeth! 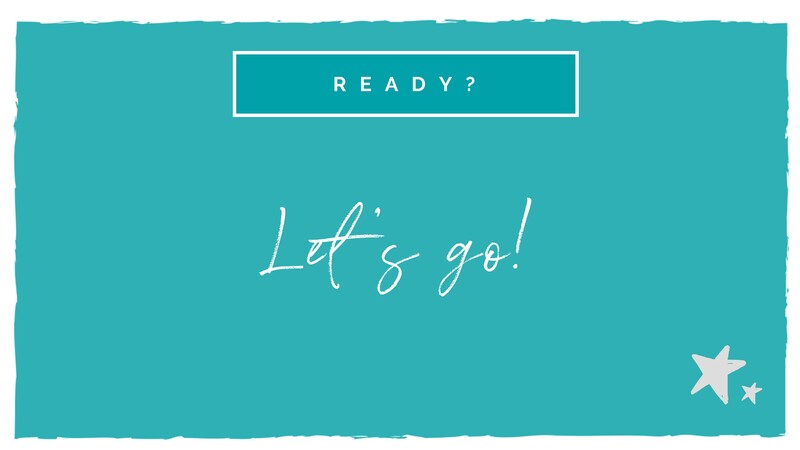 Confidence to help you continue growing as a project manager, long after the 6-month programme is finished! I know that everyone is different, and every project is different. I hold nothing back, and provide as much value to you as possible. Here’s what we will be covering each month. We start on 6 May 2019. Will you join us? You know the project management theory. You might have done training courses, read books, been managing projects for some time. Inside PM Rebels, what we show you how to make that knowledge work in real life. We help you take your PM knowledge to the next level. 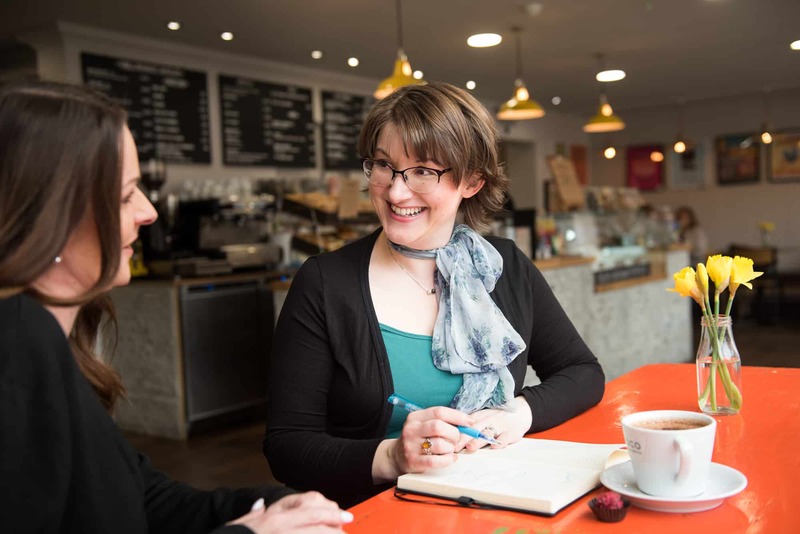 It’s like coffee with a mentor, only more convenient! This is a 6-month programme. Get support and guidance for 6 months, at only USD $27 per month (that’s $162 in total), and cancel at any time. Or save $12 if you pay upfront for a price of only USD $150. There’s no risk with my 100% money back guarantee. Try it, and if you don’t think this is the programme for you, let me know within 30 days for a full refund. You can spend as little or as long working through the materials as you like. I’m aiming for it to be less than an hour a week so as not to be overwhelming. The Project Management Rebels site will stay up but nothing new will be added to it. If you paid for the full 6 months, you’ll continue to have access. If, in the future, I open the programme again, you’ll be offered the opportunity to start up your membership again to get access to the new materials. If you choose not to, your membership may be terminated at that point. Does this lead to a certification? No, you won’t get a certification by taking part in this programme. Yes! If your company supports professional development and is prepared to pay for you, that’s great. Many companies choose to do this with a company credit card as the cost is low, but if you need an invoice/receipt for your business, let me know and I’ll get those to you. It’s better than a course! There is an agenda for our time and a syllabus of topics we’ll work through. But as the programme is dictated by the needs of the group, we’ll be switching up our focus to look at the things that matter to you. 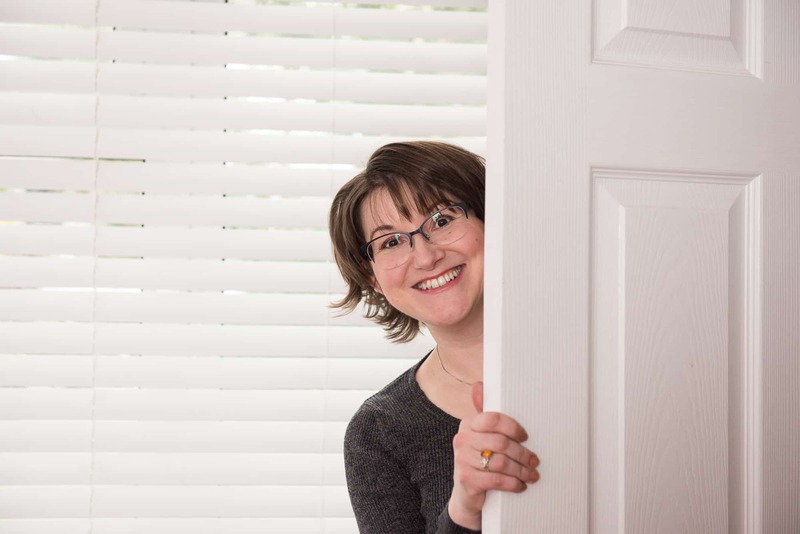 The monthly topics are loose guidelines for what we want to cover, but the Zoom calls, the quick questions and the Facebook group are all there to support you with the questions you want answered. It’s a mixture of videos and text. Plus, there will be live calls via Zoom as well to meet you all. There is no face-to-face in-person element to this programme and no requirement to travel or attend a classroom. If you can’t join a live call, there will be a recording to watch at your convenience. I'm going on holiday/having a baby/getting married/something else over the next 6 months. Can I still join? Yes! The materials will still be there for you whenever you are ready for them. You can access the site at any time during the 6 months. Yes, if you record professional development units for PMI or another professional body, you can claim for self-directed learning for the hours you spend engaging with the group, or watching/reading the materials. I am new to project management. Is this for me? Honestly, probably not. This is not a programme for total beginners and it will not teach you how to manage a project from start to finish. Instead, we’ll be polishing and streamlining some of the techniques project managers with some experience (whether or not they have ‘project manager’ as their job title) already know. By all means join for a month and see, but if you have little to no experience of project management you might find the material too challenging as I will be assuming a certain level of understanding of project management vocabularly, processes and terminology. No problem – email me at elizabeth [at] girlsguidetopm [dot] com and I’ll help you decide if Project Management Rebels is right for you.